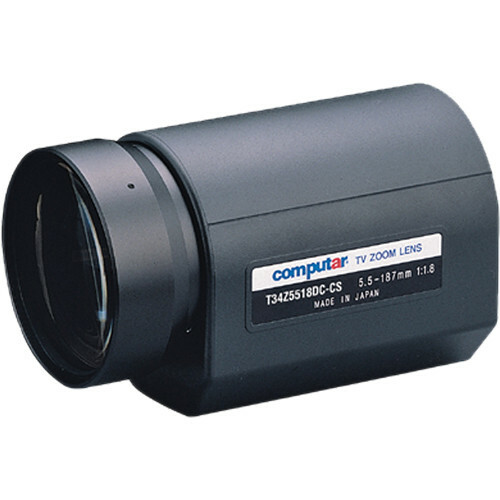 The computar T34Z5518DC 1/3" DC Auto-Iris Lens (5.5 to 187mm) with 4-Pin Mini Connector allows you to control focal length, iris, and focus via a lens controller. It is suitable for applications requiring long distance surveillance such as in parking lots and highways, where variable focal length and remote control are required. Box Dimensions (LxWxH) 6.3 x 3.83 x 3.23"